WhatsApp is considered to be the best chat application for all the smartphones and if you own an Android device and use the application then there is a new update available for the app. You can either download WhatsApp 2.12.12 APK file or update the application directly from Google Play Store. With the new app, some new improvements have been added to the app. 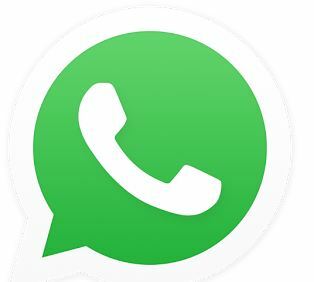 WhatsApp Messenger was the first chat application for smartphones and since it is available for free and there is no advertisements in the app, it has become the most popular and most used app in the world even though it doesn’t offer features like free voice and video calling yet. So if you haven’t used the application, which might be because you didn’t own a smartphone till now, then download the latest WhatsApp 2.12.12 APK for Android and then you will know why the application is so popular. The application is so popular that it has been downloaded on more than 500 million devices in the world and Facebook even acquired the application for $19 billion last year. So check out the features for WhatsApp for Android and then download it without giving it a second thought. Free to Download: The application is free to download and use for the first year and thereafter you will have to pay $0.99/year which is absolutely nothing. No Advertisements: The application doesn’t feature any advertisements and you won’t even get irritating notifications. You will only get a notification when you receive a message from one of your contacts and not some deals or advertisements. Group Chat and Emoticons: You can create a group of up to 50 members and add your friends so that you can chat with all of them at the same time. There are also many emoticons that you can use to make your conversation more lively. No Charges: You can send text messages, images, videos as well as voice notes to your friends using WhatsApp but there won’t be any charges no matter where the recipient is. WhatsApp Web: Now you can also use WhatsApp on your computer by connecting your smartphone with the online version. If you have the application installed then you can update it directly from the Google Play Store or you can download the APK file from the link given below. Once you have successfully downloaded the application, you will be able to move the APK file to your phone and then install it using the file manager apps on your device. If you liked the application and download the latest WhatsApp 2.12.12 APK for Android then share the post with your friends and let them know about the latest version of WhatsApp Messenger!